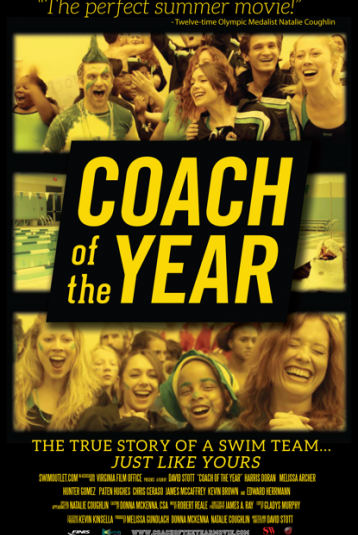 COACH OF THE YEAR is a rousing sports comedy about an unconventional coach who guides an underdog team to victory. Set against the high-spirited world of high school swimming, the film stars Harris Doran, Melissa Archer, Chris Ceraso, James McCaffrey, and Edward Herrmann. In his feature film debut, award-winning writer/director David Stott enlivens the movie with an unusual degree of technical and emotional authenticity. Set in 1997, COACH OF THE YEAR centers around Jack Wright, a perpetual undergrad who has long since abandoned the world of swimming to pursue a career as a stand-up comic. Following a scathing review of Jack’s latest gig, his father, himself a successful coach, loses patience with his son's misguided goal and forces him to take a coaching job at a local school. The only catch is that there is barely a team there to coach, nor is there a pool in which to train.In short order, he assembles a rag-tag team of swimmers with questionable talent but more than enough heart, finds a past-its-prime pool for practice and, motivated by spite and spirit, sets out to beat his father, both in and out of the pool.